Today Toronto-based Engagio announced a revamp of its online comment and discussion aggregator to now include both search and discovery features, in addition to a new HTML5 mobile web app. Launched in early 2012, the company received seed funding from Union Squares Ventures co-founder Fred Wilson, Real Ventures, and Extreme Venture Partners among others. To date the company has helped index 30 million comments from more than six million people across 14 popular networks and 85,000 sites. Founder William Mougayar became one of the top commenters on Fred Wilson’s personal blog A VC, which is when he got the inspiration for Engagio. “As I was quite involved on the commenting space…I came to realize that this was becoming very difficult to manage as a user. As you know social media is very fragmented now…you’re trying to go in and out of accounts, so I said why not put it all into one place,” said Mougayar in an interview with BetaKit. Although the first version targeted avid commenters from across the social web, the newly launched platform’s search and discovery features open it up across the board to anyone looking to monitor and follow conversations of interest to them online. Engagio currently aggregates threaded discussions and online comments from 14 sources including Facebook, Twitter, WordPress, LinkedIn, StockTwits, Angellist and others. Users can search for a particular topic or person and receive email alerts based on the queries similar to Google Alerts. All the content is pulled into a Gmail-like inbox, giving users the ability to index and keep track of any conversation about them or the people they follow on Engagio, as well as being able to reply directly from the platform. As of now the company is focused exclusively on the consumer market and growing its user base, and according to Mougayar there are several monetization opportunities on the table. The fact that Engagio aggregates from 14 sources and has a focus on becoming a user’s social inbox could help the startup stand out, however the space has several players, with BetaKit recently covering the launch of Mention, another social web monitoring tool, and Trendspottr, a startup that helps companies predict the next online trend, and which offers Google Alert-style notifications. There are also upcoming players like oLyfe which visualizes social conversations and tools like Sysomos and Radian6 used by larger enterprises to monitor their presence online. Companies like Backtype previously provided blog comment search tools, with that company acquired by Twitter and its service no longer available. Mougayar also noted that the company’s intent is to lower the barrier to social web monitoring, and wants Engagio to be a go-to platform for users to discover the most interesting conversations happening around the web. Although it may have traction from highly engaged commentators and investors, it will have to prove to more passive consumers of content why they should use the platform for content and conversation discovery. 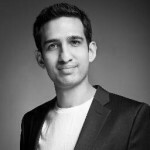 Humayun Khan is a Senior Writer and Analyst at BetaKit. A marketing graduate with honors, Humayun's work experience spans the fields of consumer behaviour with noted contributions in an academic paper published in the Journal of Consumer Psychology and market research consulting having coordinated projects for a major financial services client at Decode Inc. More recently he was involved in business strategy as a Business Analyst for an equipment rental outlet and prior in the National Marketing Department at Ernst & Young LLP. He is passionate about emerging and disrupting technology and its ability to transform and create entirely new industries.